Payment $2,656.80, borrower was 6 months past due $15,940.80. Property in foreclosure. Forbearance plan for 3 months, payments of $816.97 starting on June 1st, after 3 month plan is satisfied Aurora will modify to this payment or close to it. Previous payment $1,215.23, no escrow. New payment $632.40, escrows included. 3 Month trial period under Homeowner Affordability and Stability Plan. Trial plan payment is $957.12 while the case is being reviewed for permanent modification. Payment was $1,351.17, 3 months past due, total of $4,053.51 owed to lender. 3 Month forbearance plan. Payments of $1,036.53. After successful 3 month plan, modification will be the same or close. Saving $314.64 per month. 11 months past due, owing $9.567.97. Property was in foreclosure. Interest rate 7.375&, payment $900.05. Approved for 3 month trial plan. First month $1,633.98, second and third payment of $869.24. Modification to be negotiated with successful trial plan. Home saved from foreclosure. This investment property was 11 months behind in payments. Borrower owed $31,620.49 and was in foreclosure. Payments were $2,874.59 PITI with 9.25% interest. A special forbearance plan is granted into a modification for 6 months. From October 1- March 1, the PITI payment is $1,270.57, after these 6 payments, a permanent modification will be processed. Borrower was past due $15,089.83 with monthly payments of $1,547.72 PITI. Three month trial plan with a new monthly payment of $1,039.22 PITI saving $508.50 per month. Borrower was only 1 month, $1,911.16, past due. Special forbearance plan with 6 payments of $1,672.26 PITI. Special forbearance into modification plan for 6 months. New payment of $492.00. After 6 payments, modification will be finalized. Special forbearance into modification plan for 6 months. New payment of $4,959.61. Monthly savings of $3,000.00. WOW! After 6 payments, modification will be finalized. Borrower is 6 months past due owing $9,373.22 plus attorney and late fees. PITI payment was $1,426.34 with 7.875% ARM interest rate. Sale date has been cancelled. Approved for 3 month trial plan with monthly payments of $1,251.35. No good faith deposit required. Borrower was 7 months past due, owing $18,198.02 with a posted sale date. Monthly PITI payment of $2,461.60. Six month special forbearance plan to modificiation with payments of $1,715.00, saving $746 per month. Final modification will be completed after 6 months. Wow! Monthly payment was $2,115.20, borrower had been granted a special forbearance plan, but didn't make payments as necessary. New forbearance plan with one payment of $1,700, and five monthly payments of $1,514.25, saving $600.95 per month. Borrower was not behind on minimum monthly payments of $2,074.94. Fully amortized loan payment was $2,910.00. Three month trial plan beginning Feb 1, 2010 with three payments of $1,949.49 PITI. Monthly savings of $960.51. Borrower was 13 months past due, owing $31,850.00 plus attorney fees. Monthly principal and interest payment was $2,450.00 with an additional $660.00 for taxes and insurance. Approved for a three month trial plan with monthly payments of $1,765.71 October-December 2009. During this plan, borrower saved $1,344.29 per month. 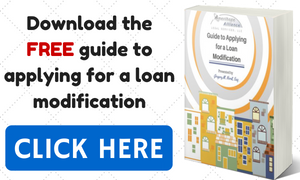 After completing trial plan, borrower is approved for a permanent modification to the loan. Monthly PITI payment is $1,314.44. Monthly savings is $1,795.56 per month. Wow! Account past due $43,570.44. Monthly PITI payment was $1,668.75 with 8.9% interest rate. Borrower was granted a Step-Up Rate Plan, first payment not due until July 1, 2010. Step-Up Rate is as follows: 2.% interest for the first 5 years with P&I payments of $1,308.77, saving $359.98 per month. Interest rate will increase the 6th year to 3%, 7th year to 4%, and for the 8th year and remaining life of the loan a fixed 5% interest rate with monthly payments of $1,324.58. Borrower was 12 months past due with a 7.373% interest rate and monthly PITI payments of $2,324.92. Borrower received a special 6 month forbearance and payment was decreased to $1,851.92, saving $473 per month. Final modification will be completed after 6th payment.